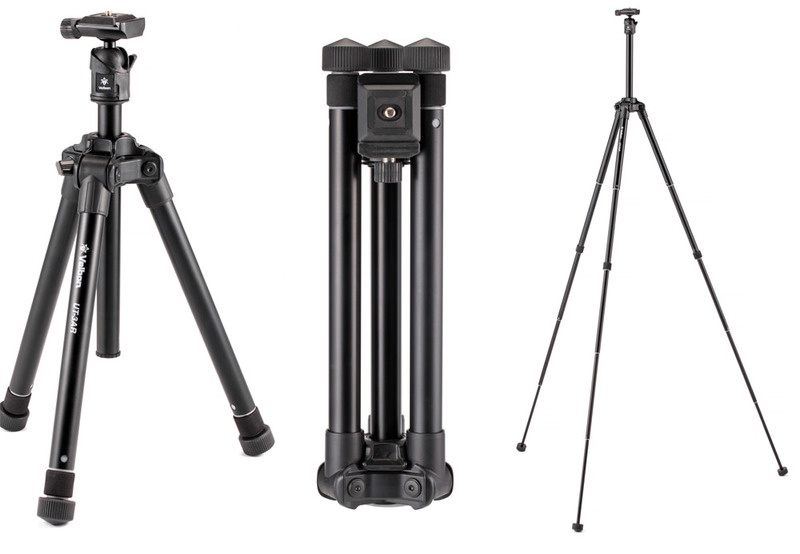 The Velbon UT-3AR is the latest tripod to join the Velbon travel range and it weighs less than 1KG while still having a payload of 3KG. As well as its lightweight, the Velbon UT-3AR is compact measuring 29.5cm in length (2mm less than a sheet of A4 paper) and fully extended, it reaches a useful 135.5cm. The 5-section legs feature Velbon's twist-locking system and the lockable centre column is height-adjustable so it can be removed and inverted for ultra-low-level macro work. The newly designed ball & socket head is lightweight, strong and versatile. Plus, it's fitted with an Arca Swiss compatible quick-release platform and also has a carabiner clip so you can hang it from a belt or bag. Although, it won't take up too much room in a backpack should you wish to pack it. The UT-3AR comes with a protective carrying case, has a 5-year warranty and is priced at £79.99. Visit Intro2020 for more details.